Looking for a stylish place to store all of your outdoor items? 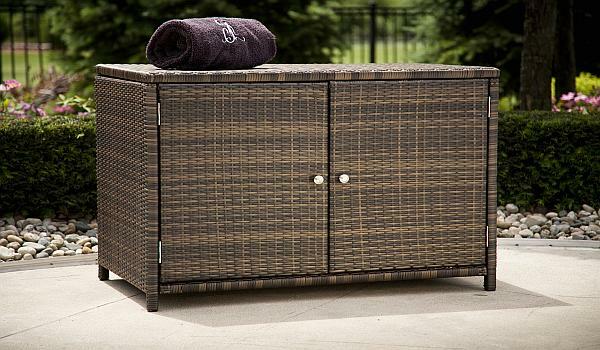 This beautiful All Weather Wicker Storage Cabinet is the perfect solution. Versatile and elegant, this outdoor storage cabinet is useful in the backyard, on the patio, or by the pool. It is a handy place to keep items, such as bar accessories, dinnerware, toys, or towels, neatly stowed and away from view. 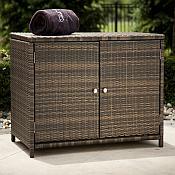 The All Weather Wicker Storage Cabinet is made of all weather wicker over an aluminum frame. It has two shelves and two magnetic sealed doors. What a great addition to your patio or pool area!